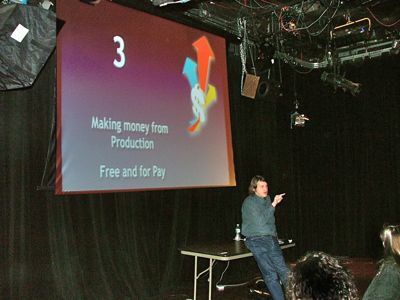 Philip presenting in the Academy’s Goldstein Theater at the NEXT TV Symposium. Business, Audience Development, Metadata, Encoding, Production Workflows. 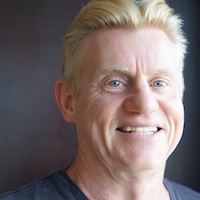 Philip Hodgetts is an accomplished writer, speaker and presenter. He has presented Keynote presentations for the NY DV Show, the Academy of Television Arts and Sciences NEXT TV Symposium and the NAB Podcast Summit, as well as presenting at Streaming Media (East and West), the prestigious Seybold conference, and NAB Post|Production as well as dozens of user groups and business groups. Philip has a unique perspective with a knowledge base that sits on the juncture of business, production and technology. He is a leader in all himself, and speaks regularly to the business opportunities that the modern world or the Internet and social media have to offer production professionals in growing their business and in growing and monetizing an audience for independent productions. Maximize your visibility on the Internet. Can be compressed to 45 minutes; full length with questions is 90 minutes. as delivered in New York, Los Angeles, Boston and San Francisco. 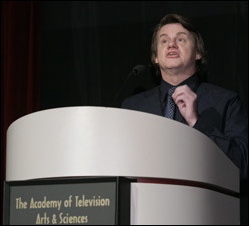 As presented to the Academy of Television Arts and Sciences for their Professional Development Program, June 2010. A subset of the two New Now presentations. This is a customized version of the New Now presentations running 45-75 minutes. Based on the TV Academy NEXT TV presentation and updated appropriately this presentation looks at the future of Television from a historic perspective, and looks forward to the future of the industry. This presentation fills 60 minutes. Since the advent of low cost production equipment almost any project can find a suitable budget. However distribution has not been democratized to the same degree. Learn how other have built substantial and profitable audiences for their independent film and video projects, and successfully monetized the audience. How to grow an audience for your independent production? How to Monetize the audience of your independent production? Learn which strategies have been the most effective for other projects. All the information is liberally backed with case studies. The How to Grow and Audience and How to Monetize and Audience can be combined into a half day seminar. Philip presents “How to Monetize and Audience” in New York. How Metadata will automate workflows in the future. Relevant for all types of production, including web video where the metadata travels with the files. A comprehensive review of metadata for production workflows, asset management and distribution management. Delivered as a full day course. Tools and tips for speeding through post production workflows. What format for production, editing or distribution? Automating First Cuts for a documentary with advanced metadata. Session runs45 – 90 minutes. Distributing HD – not as easy as you think. This comprehensive presentation is based on Philip Hodgetts’ book “The HD Survival Handbook” and is focused on Final Cut Pro and Media Composer workflows. It requires a minimum half day to skim the content, a full day to cover everything.